No casino, online or offline, is complete without the black-and-red roulette wheel. The game is so popular that even non-gamblers are familiar with it. Since it is purely a game of chance, it can truly be enjoyed as players do not have to learn and implement complicated gaming strategies. Roulette is a game loaded with betting options and roulette tables are surrounded by boisterous, adventure-loving gamblers. As the game is entertaining and very exciting, players should take extra care to ensure that they do not exceed their bankroll limits. 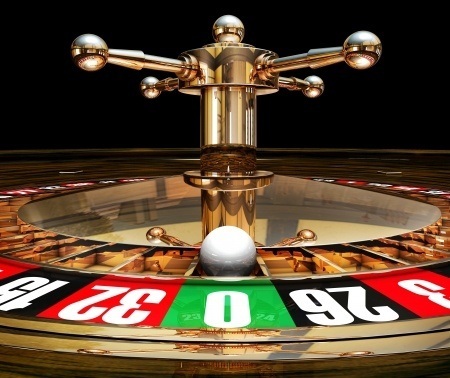 There are two major variants of roulette—American Roulette and European Roulette. While the American Roulette wheel has 38 slots with the numbers 1 – 36 along with the single zero and the double zero, the European Roulette wheel has 37 slots with the numbers 1 – 36 along with the single zero. Owing to the presence of the double zero, American Roulette has a much higher house edge, which makes it less popular than European Roulette. 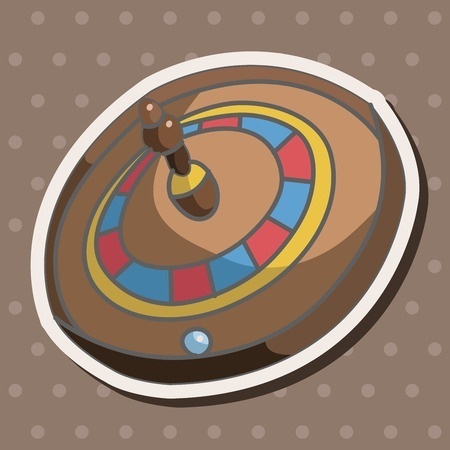 Online casinos offer a wide range of other roulette variants such as French Roulette and Mini Roulette. Roulette players are challenged to guess the number, color of the square, odd/even number, or range of numbers on which the roulette ball will come to rest at the end of one spin of the roulette wheel. Playing roulette is as simple as placing bets on numbers, range of numbers, odd/even numbers, or black/red squares and then setting the roulette wheel spinning in one direction and the roulette ball spinning in the other. If the ball comes to rest on players’ numbers or range of numbers, players will win their bets. Roulette players have a wide range of betting options to choose from and they are classified into Outside Bets and Inside Bets. Inside bets are Straight Up Bets or bets placed on single numbers, which pay 35 – 1; Split Bets or bets placed on two numbers, which pay 17 – 1; Street Bets or Line Bets, which pay 11 – 1; Corner Bets or Quad Bets, which pay 8 – 1; Basket Bet or bets placed on five numbers, which pay 6 – 1; and Double Street Bet or bets placed on six numbers, which pay 5 – 1. Outside bets are bets placed on the colors red or black and the numbers odd or even; Dozens Bets or bets placed on 12 numbers such as 1 – 12, 13 – 24, or 25 – 36; and Column Bets or bets placed on vertical rows of 12 numbers. Play the game for entertainment only. It is very easy to lose your entire bankroll on roulette games, especially when playing progressive systems such as the Martingale system. Players should therefore stay cool and remember to play within their bankroll limits. If they have lost as much as they can afford to lose, it is time to quit the game. Unlike casino games like blackjack or video poker where players can improve their odds by using the right strategy, it is not possible for players to improve their odds at roulette. Avoid getting stressed out about winning and focus on having fun alone. If you want to learn more about roulette systems, we suggest you check out our page about Roulette Strategies.